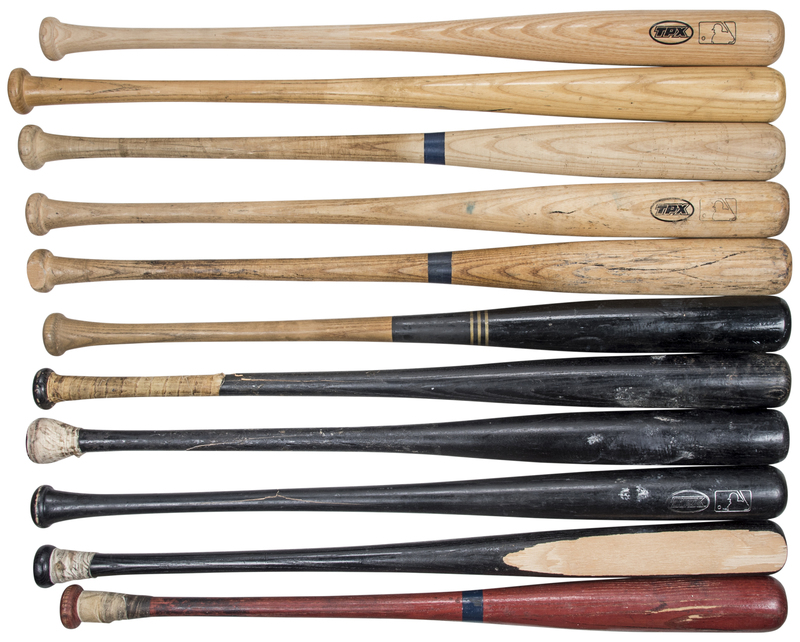 Offered here is a collection of 11 game used New York Mets bats from various years and eras. The first bat is an un-cracked Rawlings Big Stick used by Glendon Rusch that displays exemplary grain swelling. 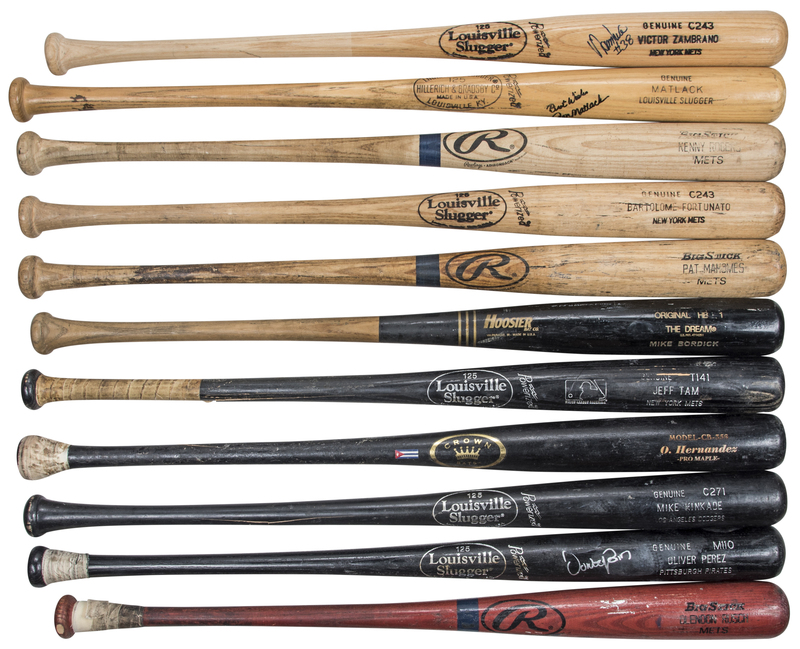 The second bat in this lot is a black Louisville Slugger C271 bat used by Mike Kinkade. This bat is cracked. 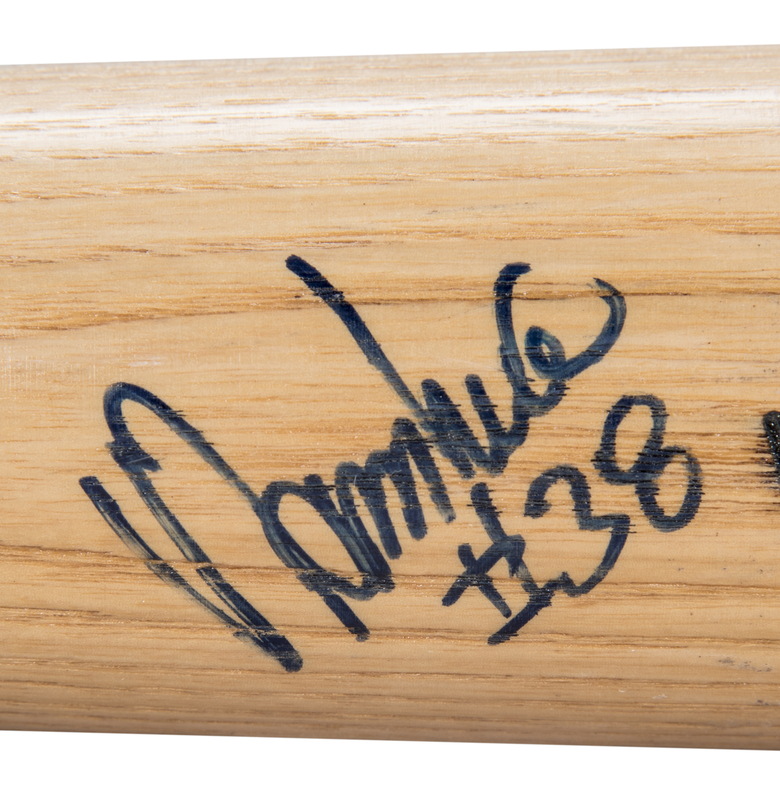 The next bat is an un-cracked Louisville Slugger C243 model bat used by Bartolome Fortunato. The fourth bat in this lot is an un-cracked Hoosier Original HB1 The Dream bat used by Mike Bordick. The fifth bat is a Louisville Slugger M110 model bat used and signed in silver marker by Oliver Perez. Please note a 12-inch section of the barrel has chipped off. 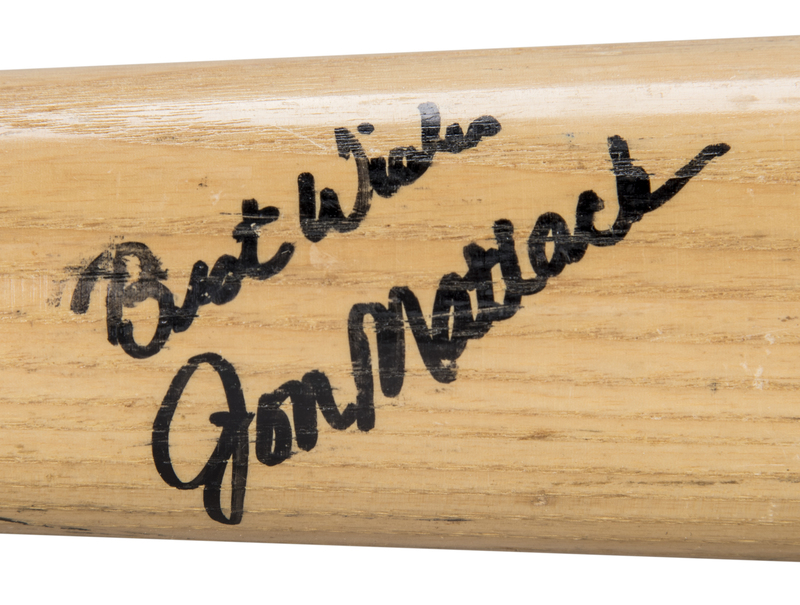 This bat comes with a COA from Beckett Authentication Services (F63906). 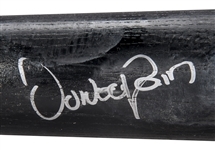 The next bat is a Louisville Slugger C243 un-cracked bat used and signed in blue marker by Victor Zambrano. This bat comes with a COA from Beckett (F63905). The next bat is a cracked Rawlings Adirondack Big Stick used by Patrick Mahomes. After the Mahomes bat is a cracked Crown Bats Model-CB-356 bat used by Orlando Hernandez. The next bat is a black Louisville Slugger T141 model bat used by Jeff Tam. This bat is cracked. The penultimate bat in this lot is a Hillerich & Bradsby bat used and signed in black marker by Jon Matlack. He inscribed “Best Wishes” in addition to his signature. 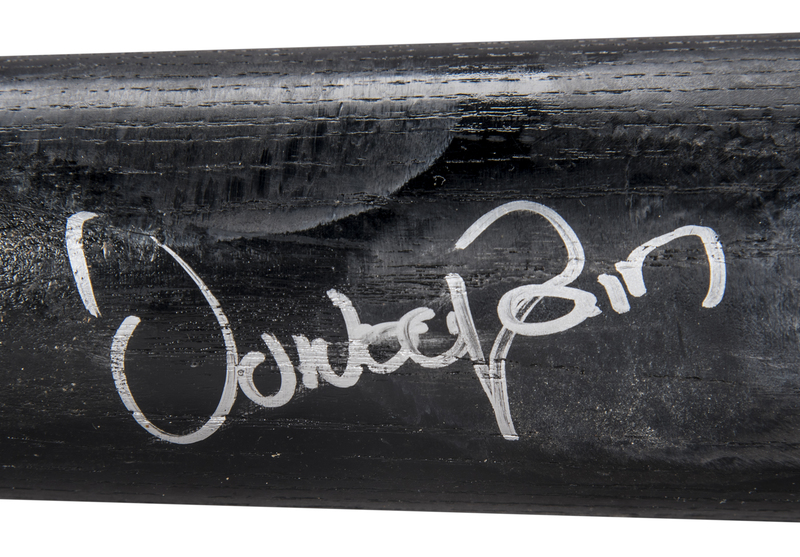 This bat comes with a COA from Beckett (F63907). 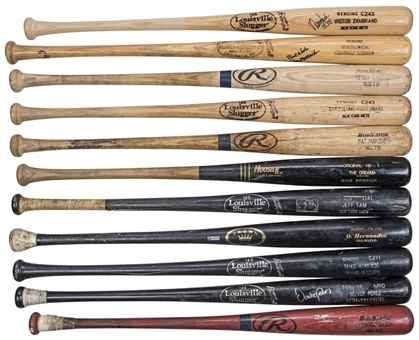 The final bat in this lot is a cracked Rawlings Big Stick bat used by Kenny Rogers. The bats in this lot have been pre-certified by PSA/DNA.